Please consider using our shopping partners below to give back while purchasing products online! When you buy your pet’s medicine through our partnership with VetSource, a portion of the sale goes to support our pet programs. We’ve partnered with Goodshop.com to create a win-win shopping experience. When you use Goodshop.com to shop at thousands of your favorite stores, a portion of your purchase will go to support our pet programs. Happy shopping! 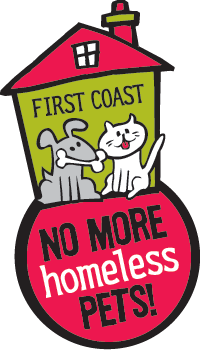 Log into Amazon Smile using your Amazon account and choose First Coast No More Homeless Pets as your preferred charity. Next time you shop on Amazon, make sure you are signed into the Amazon Smile site, which is separate from the standard Amazon.com site, and .5% of your purchase will go to support our pet programs. Florida Animal Friend is dedicated to helping save the lives of countless unwanted cats and dogs by supporting organizations that offer free or low-cost spay and neuter services (like us!) across the state of Florida. Purchase your license plate today and help fix the problem of homeless pets!